Augustman Run 2017 | JustRunLah! 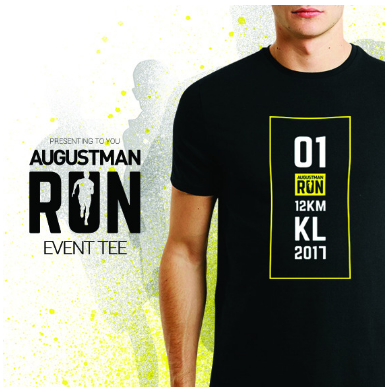 Participated in this first Augustman Race held in Lot 10, KL. Overall not too bad for a first-timer. However improvement definitely has to be on the race route. The route was good, but it was a real DANGEROUS route to run. Imagine running along the road with cars zooming by with substantial speed. Jalan Imbi on both sides (6th and 11th KM) were accidents waiting to happen as runners ran at the side of the road with no cone on the middle of the road to separate out runners and vehicles. Then at the 6th KM, at the corner of Berjaya Times’ Square, I saw a guy exchanging his race bib with another runner who didn’t look like he had run 6 km. No race marshals were around at that moment and I just had to continue running. While running on the fly-over at Dewan Bahasa heading towards Lot 10, I saw a guy took a shortcut by hopping over from the other side of the road. Again, no race marshals were around at that moment. Other than that, it was a good run with plenty of RedBull to gulp.